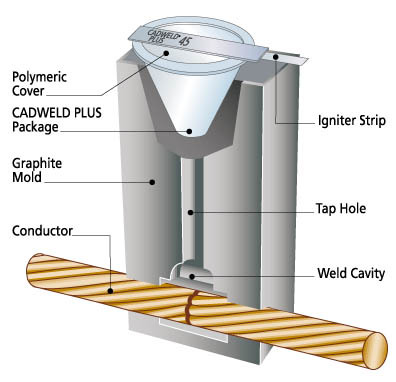 Exothermic welding systems provide permanent, low resistance connections which are needed to create a long lasting, reliable grounding network. Graphite moulds are available to suit your application. 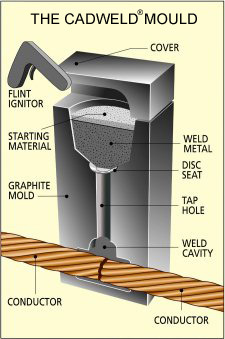 Welding moulds and charges are available for many different sizes and applications. Please specify the application, conductor size, and weld type required when enquiring. and a new ‘push-button’ method. Please contact us for more information. Can be checked for quality by visual inspection.